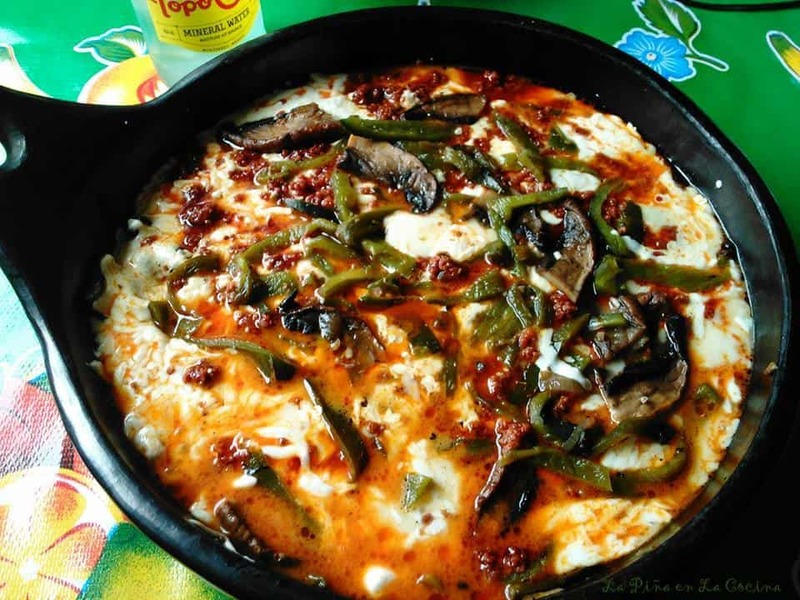 Queso Fundido-Mushroom, Poblano and Chorizo Queso Fundido! 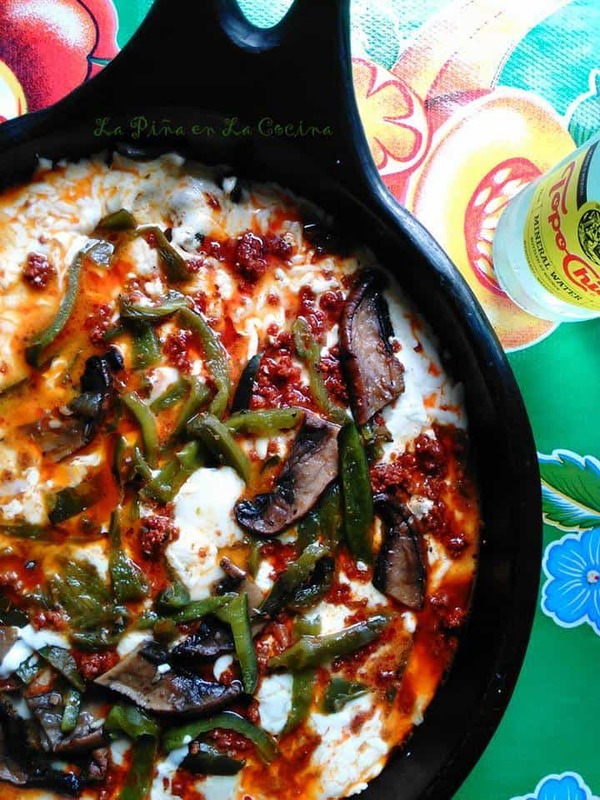 Queso fundido or buried cheese, is an absolute must for your next Mexican themed dinner! Perfect for movie night, game night, tailgating and just because! Don't forget the warm tortillas and homemade chips! 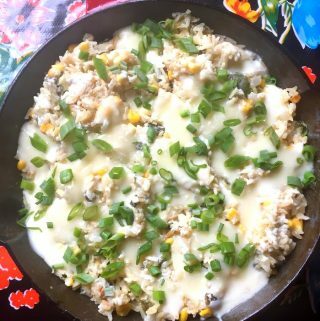 In a large skillet at medium heat, add 1 tablespoon of oil. Add the onions. Season lightly with salt and pepper and saute for 5 minutes. Add the rajas, chorizo and mushrooms. Stir well to combine and cook for 2-3 minutes. 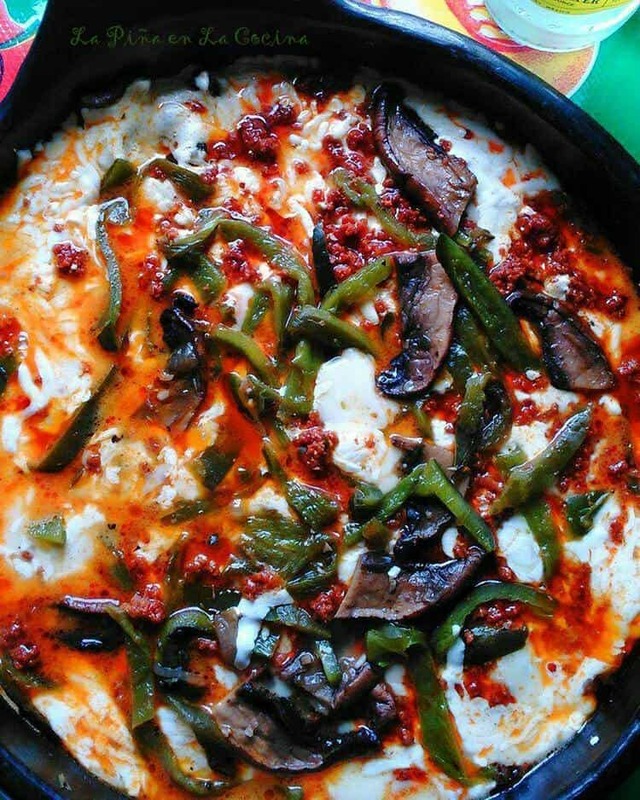 Do not add the cheese until you know you are ready to eat! If, yes, then add all of the cheese. Stir well to combine, cover and lower the heat slightly. As soon as the cheese has melted through out, it's ready! 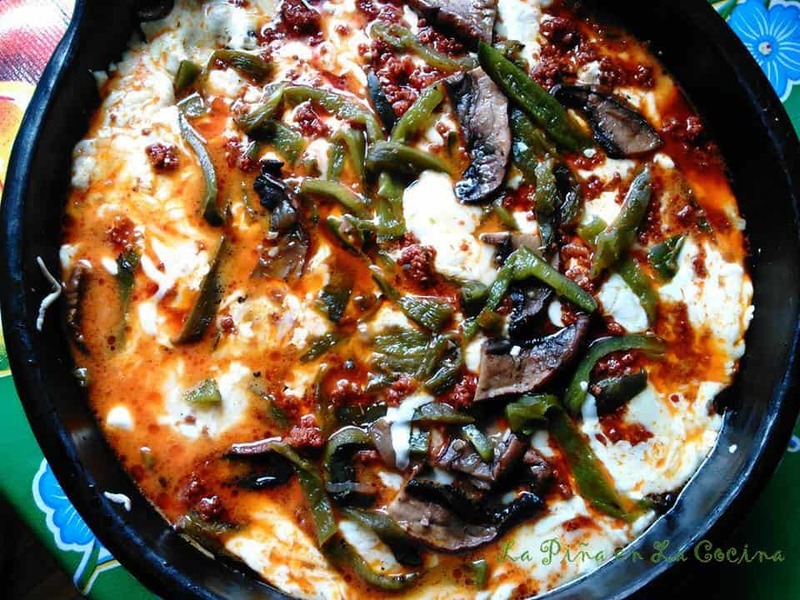 Serve with warm flour tortillas or homemade chips. Oh and if making tacos, don't forget to garnish with salsa!! 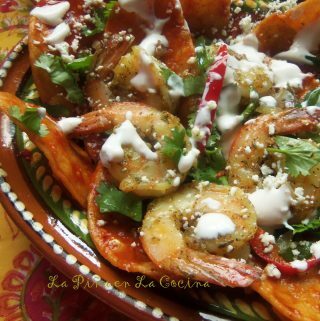 The possibilities are endless when it comes to preparing this classic Mexican appetizer! Keep is simple and traditional with just Mexican chorizo or get creative! 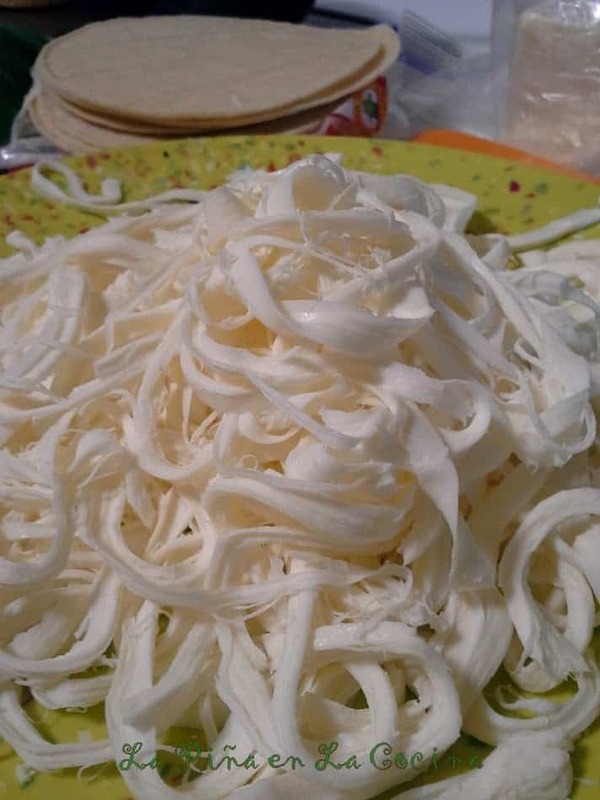 If you cannot find Oaxaca cheese, use a part skim string cheese. 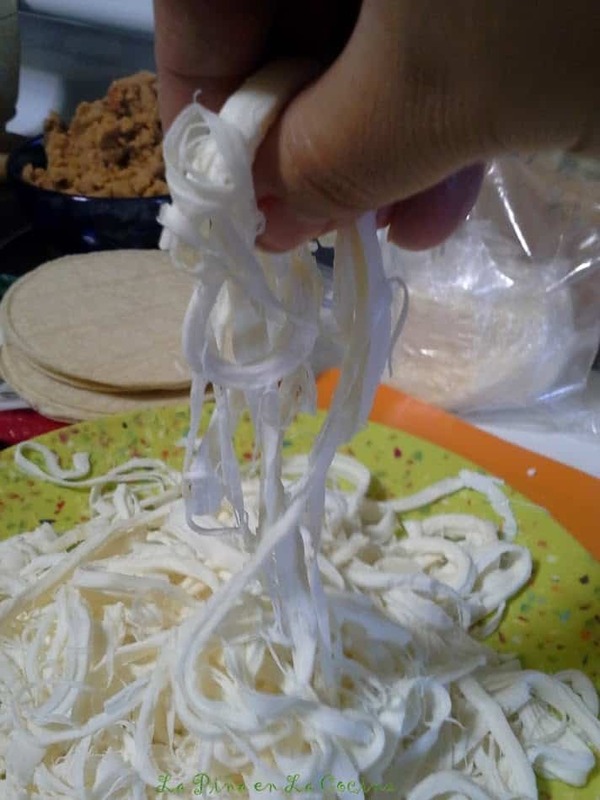 A good quality Oaxaca cheese should pull apart into thin strands. 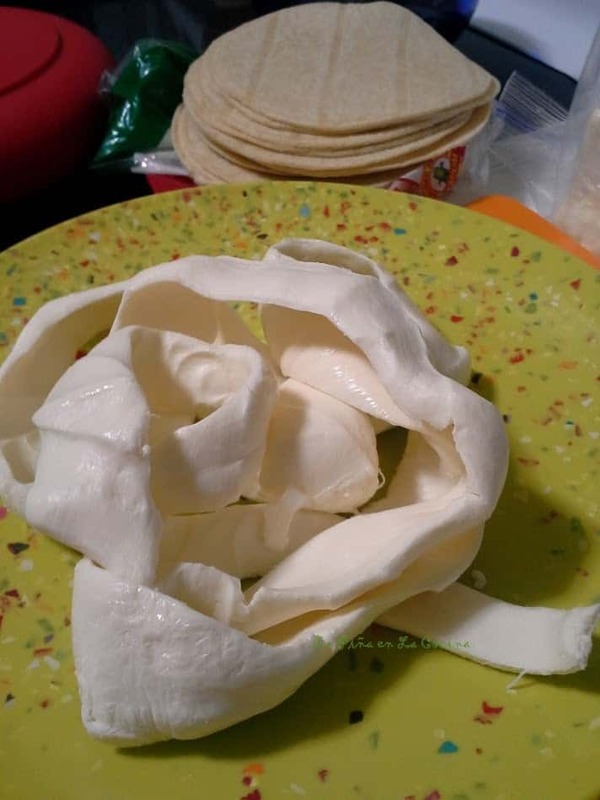 A few other great melting cheese varieties would be, manchego, muenster, jack and queso quesadilla from cacique brand. 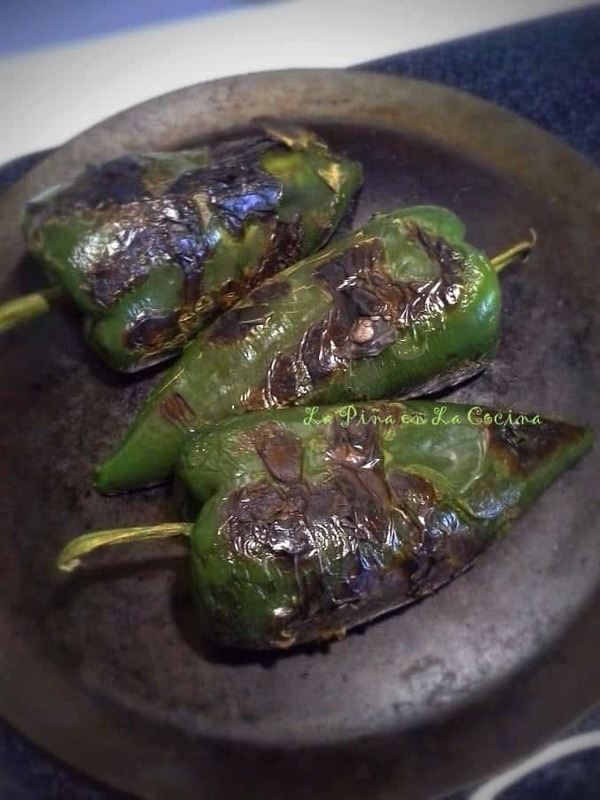 To roast poblanos, you can roast, at medium heat, on a metal comal, directly on the flame or under the broiler on high. Turn as needed until most of the skins are blistered. Place in a plastic bag until cooled. Peel blistered skins, remove stems and seeds before slicing. 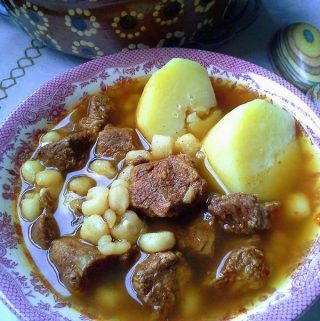 Tips for cooking chorizo: When I prepare chorizo for this dish. After I cook it, I drain it onto a plate lined with paper towels. It removes a lot of excess fat and grease. You can use already sliced mushrooms of any variety that you like. Saute mushrooms in olive oil for 5-6 minutes before seasoning with salt and pepper.